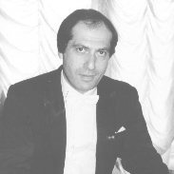 Pavel Kogan conducting the Moscow State Symphony Orchestra; Alto- ALC 1031, CD, recorded 1990. This Symphony would easily make a list of five starter Symphonies for newcomers. It abounds in gorgeous melody, grandly sweeping orchestral passages and a compelling, noble optimism combined with bits of wistful melancholy that provides some contrast but never swamps the good feelings. The accompanying Vocalise is a very popular short staple, sometimes performed by a soprano with full orchestra, while the Scherzo, composed at 14, is a mildly pleasant exercise. Pavel Kogan, now 65, conducts a powerful performance recorded with a commendable, spacious dimension. Kogan’s father, Leonid Kogan (1924-1982), was considered one of the two greatest and most prominent violinists in 20th century Russian history, the other being David Oistrakh (1908-1974). Kogan himself is an accomplished fiddler but prefers conducting. And Kogan’s son, Dmitri, was a phenomenal violinist, well on his own way to a star-studded career when he died of cancer at 38 just last year in 2017. A highly recommended CD still available through Amazon vendors. Hermann Scherchen conducting the Vienna State Opera Orchestra; Westminster XWN 18616, mono LP, recorded 1951. 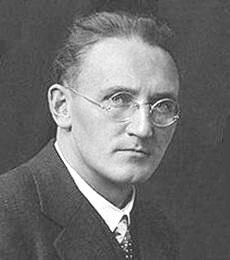 Conductor Hermann Scherchen (1891-1966) was a gifted interpreter of a wide range of composers from Bach, Handel, Haydn and Mozart through Beethoven, Berlioz, Brahms and Tchai­kovsky to Mahler, Schonberg, Berg, Webern, Malipiero, Reger, etc. He recorded dozens of LPs for Westminster starting in the early ‘50s, most of these now available on CD, along with live broadcasts. According to one player, he could be a brutal taskmaster; others dismiss such comments. Anyways, this pair of performances is quite feisty and engaging. The 92, better known as the Oxford Symphony, was written to commemorate the University granting the composer an honorary degree. However, a few scholars have disputed whether this is the correct piece. Regardless, this one and 95 are my two current Haydn favorites for frequent listening. In recent months I have been listening to two performers I know well. However, I will not reveal their identities for the sake of privacy nor mention the genre of their own artistic work most definitely. The point of my jaw flapping is to encourage musical talent out there in the wind, so to speak, and to hope and pray that they keep at it, if they feel compelled to do so, despite the necessities of survival and the entire gamut of other obstacles, both internal and external. When I was 25 and possessed various delusions of Peter the Great grandeur, mainly becoming a world renowned classical record critic, I sent a batch of my reviews to both the late music critic, Irving Kolodin (1908-1988), and the very gifted writer and classical review editor, James Goodfriend, of the now defunct Stereo Review. Kolodin quickly responded with a note suggesting that I avoid extremes of approval and disapproval, cut out the very worn cliches and other verbiage of other reviewers and work hard on a personal style of my own. He added, “This is not meant to discourage you. Only you can discourage yourself!” I know I have failed to create an individual style that would resound with millions of readers and bring fame, fortune and permanent happiness, but I have most definitely made peace with myself and God, try to do my daily best and find contentment in where I am at the beautiful, most comely age of 66. I would suggest, though, that Irving Kolodin’s motto on encouragement be typed on a card and kept within easy reach of anyone who aspires to success in any morally legitimate activity. Jim Goodfriend’s reply took just more than a year but he gave a list of very useful do’s and don’ts. One most memorable one aimed at any aspiring writer reading this screed was to use nouns and verbs as much as possible and as few adjectives and adverbs.